Kendo is a barometer of life… It’s a tool for self-development and cultivation. 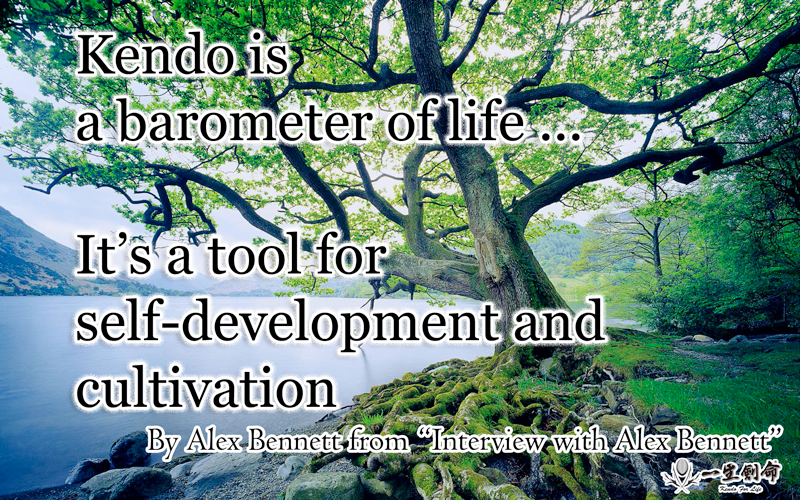 This was an answer to my question, “What is kendo to you?” to Alex Bennett sensei in “Interview with Alex Bennett” when he passed his 7-dan exam at his first attempt. When you are doing well at your work, your kendo gets better. When your relationship with your spouse, your kendo gets better. You know what I am trying to say now. Your life influences your kendo quite easily. So your sensei can tell you how your life is going. As a matter of fact, I often feel how my students are doing through training with them, not by asking them how their life is treating them. This is the main goal for us. Even when your life is treating you badly, once you do the right kendo, you can find a way to correct the path of your life. If you feel agnry, your kendo becomes violent. But by doing the right kendo, your kendo becomes good. That means the good kendo calms you down. The good kendo helps you with controling your emotion. The right kendo means “knowing how to control yourself“. Indeed, kendo is a good self-development and cultivation tool. Wouldn't you agree?